The seventh Gadies and Lentlemen golf tournament was officially launched at the Uganda golf club in Kampala. The unique tournament that sees male golfers draw like females and their counter-parts like wise will tee off on Saturday. It will take place at the lavish par 72 Uganda Hold club along Kitante road. Addressing journalists at the launch, Anne Abeja, the Lady Captain of the Uganda Golf club expressed gratitude upon the increased number of partners on board. “I am overwhelmed that the seventh edition of the Gadies and Lentlemen tournament returns this Saturday, said Abeja. “I applaud the sponsors and partners on board and we look upon a great championship. “Ladies will dress as men and men will put on ladies’ attires and of course the tee off remains at the opposite tee boxes. Abeja envisages the tournament as a rich plat form for the golfers as well to polish their golfing skills. “The tournament has great significance to the golfers by testing their endurance, agility, stamina, creativity and resilience, continued Abeja. A record number of golfers (200) are expected to take part in this Stable Ford full handicap tournament. 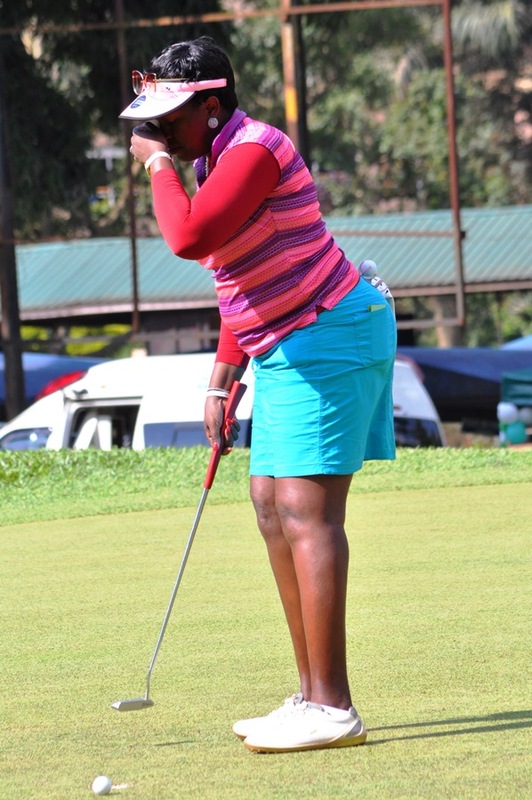 Some of the golfers who had registered by Wednesday include Member of Parliament for Arua county, Hon. Odonga Otto. There will be a total of 26 prizes to be given out to the respective handicap top performers in their groups, A,B and C for either gender. Besides the group winners, there is a special prize for the overall winner as well as the side bets (longest drive and nearest to the pin contest). Golfers should anticipate the best conditions of the city located golfing facility given a balance of rains and the sun throughout the week. Anita Patricia Katusiime, the human resource manager at Job Connect is eager for successful tournament. “As Job Connect, we are privileged to join the bandwagon of partners at the Gadies and Lentlemen tournament, said Katusime. “We expect a successful tournament. At least 200 golfers shall take part in the day long championship with a colourful prize giving ceremony planned to wind the day on style. There will be a special prize for best dressed golfer who will rhyme to the expectations and conditions set, as well as the guest winner. In the rest of the golfing world, the Gadies and Lentlemen tournament has been held for now 30 years. Last year, Martha Babirye and John Karionji won the overall men and women titles.